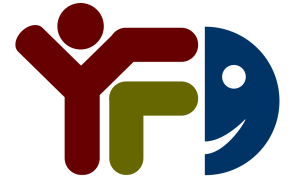 The STEM-L® program offers a unique opportunity to expand youth’s active interest in the STEM and legal career pipelines (e.g., forensics science investigator, cyber security detective, private practice attorney, criminal psychologist, ballistics expert, crime scene, medical examiner, etc.). We bring in STEM-Law experts to deliver a very rewarding hand-on experience coupled with an academic framework to familiarize our students to very attainable STEM-L careers. We do this by introducing students to real-world legal issues and leveraging scientific research methods, critical thinking skills, and team-building activities. Students defend compelling arguments to a group of legal professionals. 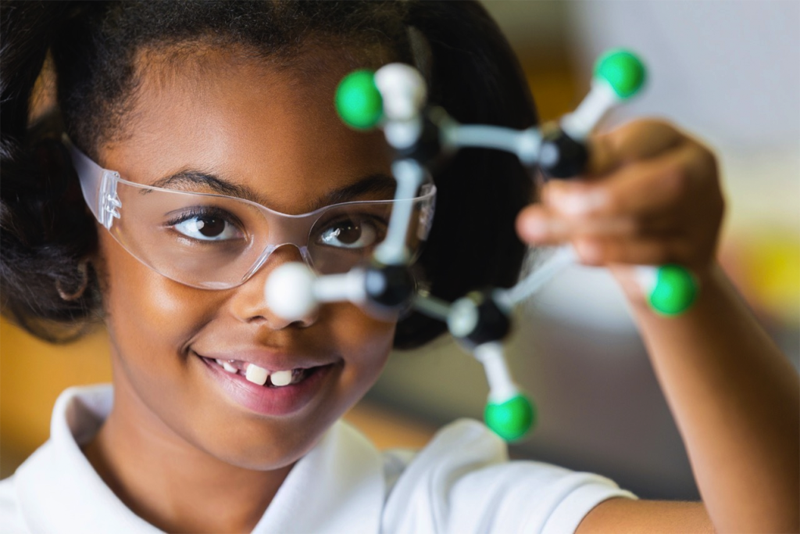 We reinforce fundamental academic skills, i.e., English and Mathematics SOL standards, to spring board participants interest in STEM-L, while sharing career opportunities possibly never explored, especially those in certain socio-economic groups. The benefit of our program to the broader community is that we use proven problem-based learning approaches, grounded in academic theory, to spark interest in and influence STEM-L career path selection. The most humbling part of what we do is prepare under-represented and under-privileged youth to self-advocate and increase their ability to self-advocate, especially in the legal environment. This is especially critical in our current environment as many youth do not know or understand their rights, are challenged in respecting authority figures, and desire to positively contribute to society. 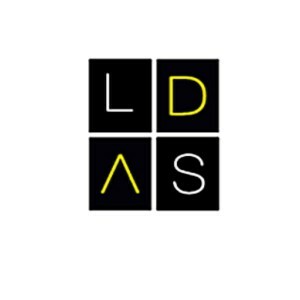 Our Vision is to be the preferred academic program known for systematically increasing awareness, interest, and improving student understanding of STEM-Law (STEM-L) academic disciplines and careers (forensics investigator, law enforcement, attorneys, criminal psychologist, cyber-security analysts, etc.). Our Mission is a to provide opportunities for leadership that result in achievement for young people. The STEM-L summer camp initiative is such an opportunity. Our program allows youth to apply the scientific method, think critically, and deliver oral arguments in support of their perspective in resolving a notional criminal matter. 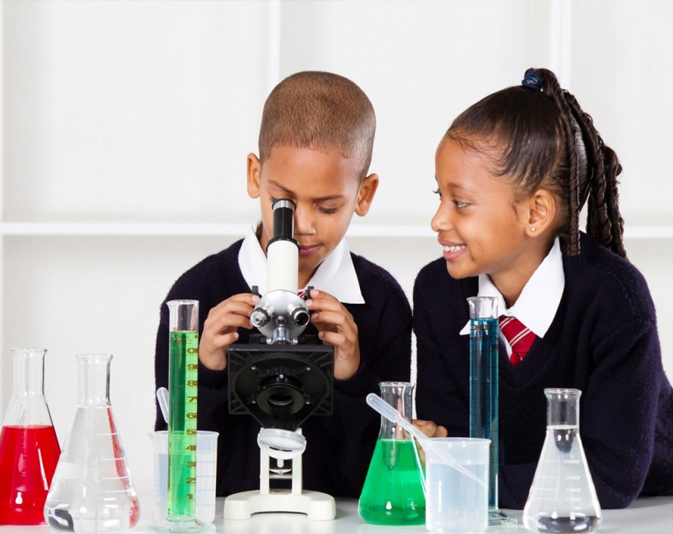 If introduced early, research supports that youth are more likely to consider STEM careers not only because of the attractive and massive growth of the industry, but also because of the natural instinct of most youth to solve problems through inquisition and self-exploration. We are based out of Richmond, Virginia with partners in North and South Carolina, Georgia and Florida. Youth are introduced to STEM-Law related careers and inspired to explore employment opportunities that they would likely not have considered since these careers are not easily integrated in traditional classroom settings. The STEM-Law modules offer opportunities to youth to understand their rights and ask questions associated with real issues facing youth and how they perceive law enforcement representatives. Our team of leverages highly motivated educators, experienced legal professionals and proven hands-on, problem-based learning (PBL) approaches to deliver a very unique summer and after-school experience for school-age youth (5th-12th grade). Our program leverages existing relationships with volunteers, teachers, academic leaders, community-based organizations and other STEM professionals. We have parterned with these resources to provide an uprecedented educational experience. 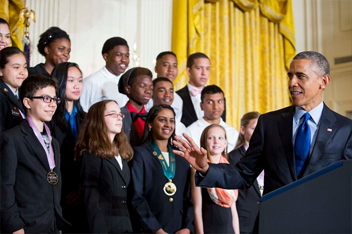 The STEM-Law programs provides an opportunity for youth, parents, schools and other strategic partners to proactively address socio-economic factors while at the same time deliberately bridging the gap of qualified and motivated youth who are prepared to pursue STEM careers, specifically in the legal industry. 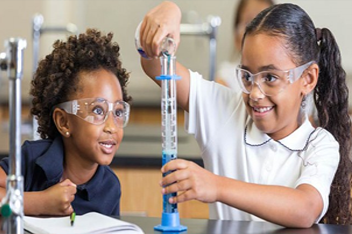 We reinforce fundamental academic skills, i.e., English and Mathematics Standard of Learning (SOL) standards to spring board participants interest in STEM-L while sharing career opportunities once never explored by those in certain socio-economic groups. Talent and career development is quite possibly the most effective vehicle for bridging the gap in STEM career opportunities and qualified workforce. As a 501(c)3 not for profit organization, we welcome sponsorship and scholarships for program participants. Sponsors can leverage potential tax savings that a charitable tax deduction offers. Our leadership team is committed to supporting youth’s academic opportunities and increasing their ability to self-advocate, especially those who are under-represented and underprivileged youth. The legal industry is a time-cherished community of professionals and an environment full of numerous STEM careers. Our STEM-Law initiative introduces job and career opportunities in what was once, for the most part, unchartered waters for many very smart kids, and especially for those who are minorities. 2018- Provided sponsorship for STEM-Law’s 100 Ties, 100 Men, 100 Minutes of Basketball event; young children were able to learn to tie their ties and as a result, build self-confidence. 2018- Provided sponsorship for STEM-Law’s 100 Ties, 100 Men, 100 Minutes of Basketball event; STEM-Law Education Initiative was able to provide fun games of basketball while teaching young children the importance of self-confidence. Thanks to the NBC 12 News Team for welcoming STEM-Law Founder Michael Edwards, and his daughter Lauren to their Richmond studios. Michael and Lauren met with news team to share the mission, vision and goals of the STEM-Law program. Our team thanks NBC 12 for supporting our initiative, and for showing Lauren such a great time! 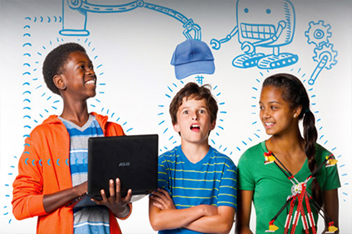 The STEM Squad is the youth activities and program component of our organization. The STEM-Squad is a kids-ONLY page for kids who love Science, Technology, Engineering and Mathematics (STEM) and want to use it to improve the world we live in. The STEM Squad looks at the problems in our society and use their “smarts” to solve those problems. STEM Squad also offers birthday and party events for kids. 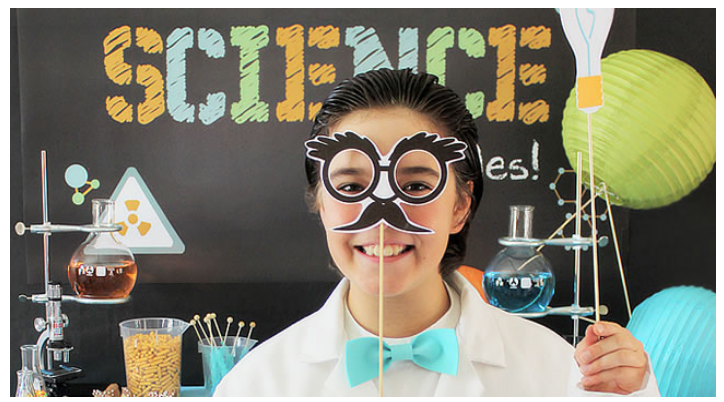 Kids participate in interactive party activities, learn about STEM. 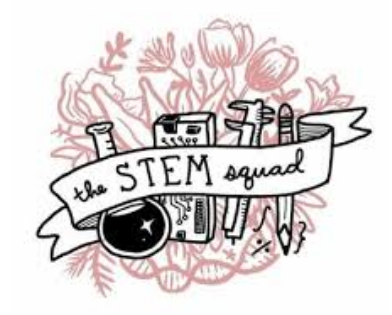 If you want to join STEM Squad, contact us below for membership information!